ALBERT "TOOTIE" HEATH, originally from Philadelphia, is an American jazz hard bop drummer, the brother of tenor saxophonist Jimmy Heath and the double-bassist Percy Heath. He first recorded in 1957 with John Coltrane. 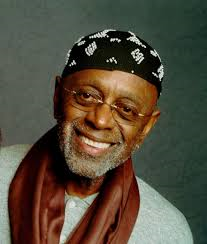 From 1958 to 1974 he worked with, among others, J. J. Johnson, Wes Montgomery, Art Farmer and Benny Golson's “Jazztet”, Cedar Walton, Bobby Timmons, Kenny Drew, Sonny Rollins, Dexter Gordon, Johnny Griffin, Herbie Hancock, Friedrich Gulda, Nina Simone, and Yusef Lateef. In 1975, Tootie, Jimmy, and Percy formed the Heath Brothers. He remained with the group until 1978, then left to freelance. Tootie has recorded extensively throughout his career. His latest recording “Tootie’s Tempo”, released in 2013, features Tootie, Ethan Iverson (Piano), and Ben Street (Bass). Among his many workshop and classroom teaching assignments, Tootie is a regular instructor at the Stanford Jazz Workshop. He is now the producer and leader of The Whole Drum Truth, a jazz drum ensemble featuring Ben Riley, Ed Thigpen, Jackie Williams, Billy Hart, Charlie Persip, Leroy Williams and Louis Hayes.